The project this week has been painting a bright blue wall mount style plate display shelf ASCP White (see end of today's post). Some favorite finds this month are in the photos below. First are the brass pieces - the heavy bell was my favorite. I used this painting (redoing its frame) for the background. 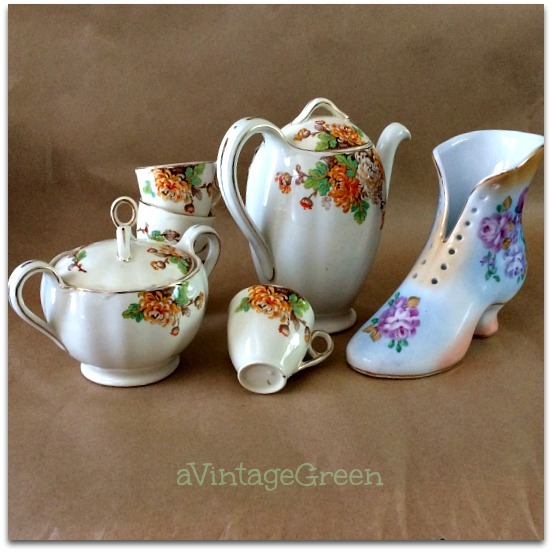 The partial coffee set is Royal Winton, classic shapes. The heeled boot is vintage RS, hand painted flowers. A good mixture of finds from brown on white transfer ware butter pats to vintage readers, buttons and kitchen tools. 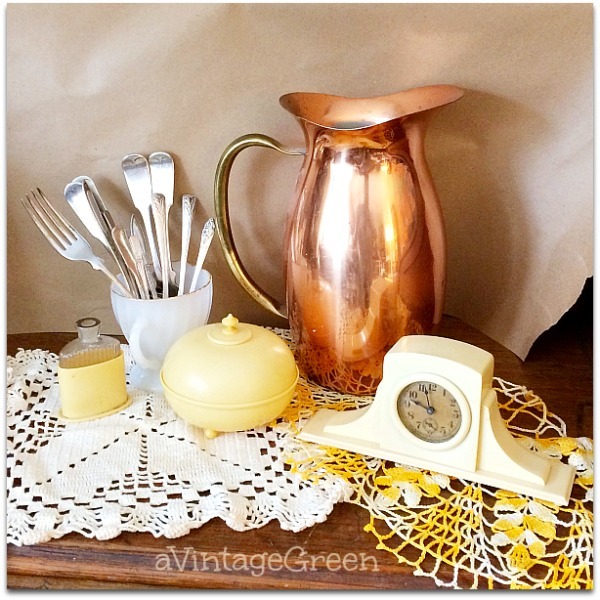 A mixture of vintage French Ivory pieces, some silver plate and a copper decorator jug. 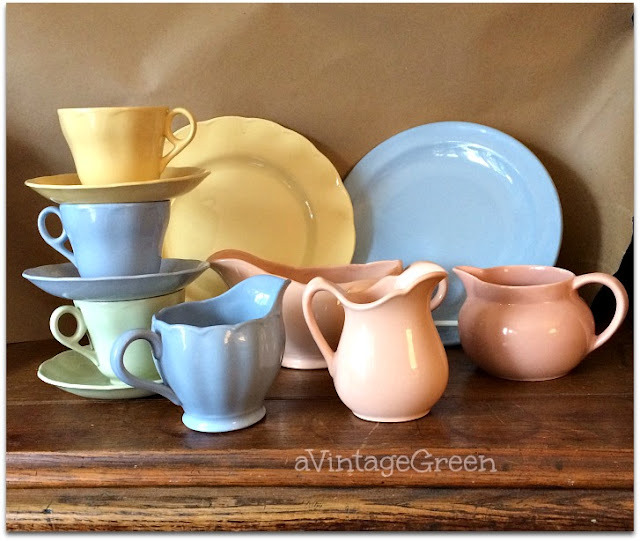 A happy find in late July was a few pieces of vintage Grindley Petal Ware - Peach, Lupin, Laburnum, Almond, mixed with a blue hotelware plate and a pink creamer (right side of photo). 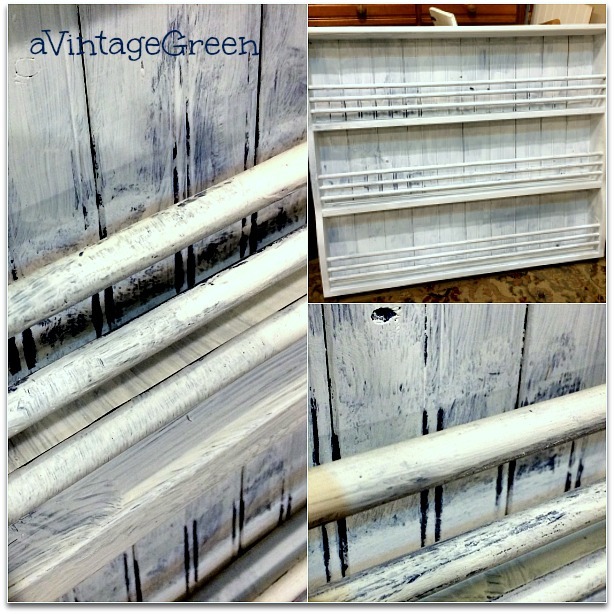 One project this week has been painting a wall hanging plate holder - from a shiny dark blue to a ASCP White. 3+ coats. This is almost like painting chair rungs except it seemed impossible to get a brush to paint the back of the dowels on the plate holder. Time hog. Garage Sale find. Of course I forgot to take a 'before' of the blue shelf - so I took a picture after the first painting session which has plenty of blue showing through. I was painting the second coat and found out that the dowels could be rolled around - lots of blue showing there. I used a shorter handled brush this time and that did make the job a bit easier, less bumping and dropping of the brush when painting under the dowels. It took a total of 3 coats of ASCP White plus touch ups to cover that dark blue. Very lucky for me, Judy came for a visit. Judy, a dear friend (DGS's 'other grandma') was one of thousands who were evacuated from their town (100% evacuation) in the Cariboo Interior from the forest fires that tore through that area of BC. She and her hubby drove to stay with family in Northern Alberta then Northern Saskatchewan and hubby stayed in Regina Sask. for a business course and flew to Vancouver on Sunday. Judy drove to Trail BC from Regina Sask. (including two breakdowns in her old truck) to spend a week looking after her Mom who had a small stroke (sibling relief rescue for the two sibs who live near Mom who lives in a care facility. Judy's home is ok, all homes in her town were saved but several very old buildings (original pioneer type buildings) in the area around town burned and the town and area continues to be on evacuation status at this date. Those who are fighting the fires are working long hours and having successes in many areas of the Cariboo. Hero's all. News updates can be read online. Judy arrived at her daughter's home Friday and Tuesday this week she tore into the projects that I always have ready (today was the wall shelf plate holder). Way too much stress from the smoke and fires that covered the area, being evacuated and moving from place to place for the past few weeks. Check my next Thursday post for the 'what else did we work on' which turned out way different from my first 'visual' plan. Back to the wall shelf plate display shelf. Have to figure out how to safely hang this wall shelf - it will be holding quite a bit of weight of treasured plates and weighs empty about 10 pounds. It is resting on the roll top desk in this photo. I love that plate shelf. I would so buy something like that. I have treasured plates that would be awesome to display. You did a great job. 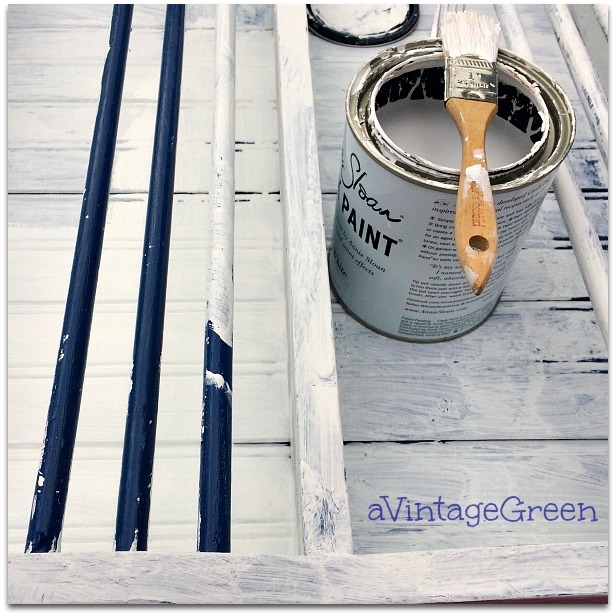 I painted a dark stained wood shelf white and it took more paint then I had! You have some great finds. Makes me want a junking trip! Love all the wonderful finds Joy. Those fires are just so horrible out west and of course in the north, so sad all those people have lost homes and all of those animals have lost their homes and their lives. You should had a great haul dear friend! I love all the pieces you found, each are wonderful. 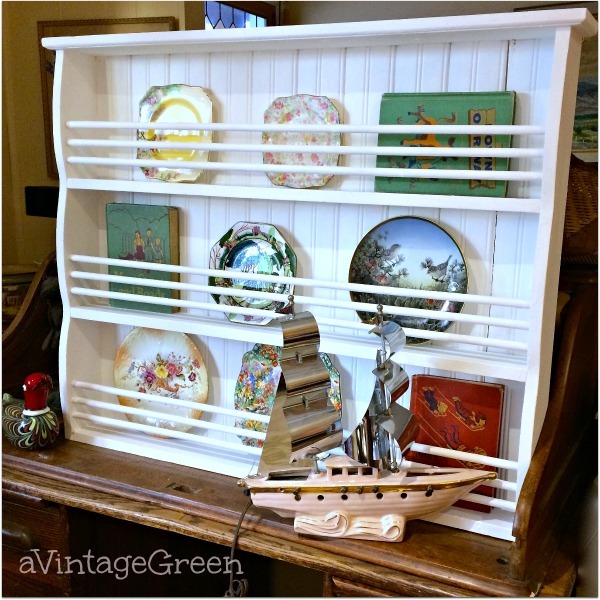 The plate shelf is awesome, I just posted one hubby had made for me last year and so love playing with it and I think you will enjoy it too. I understand your frustration painting; I am painting a small shelf unit with a gallery rail; same problem. At least mine is small enough to turn at different angles so I can see the missed spots! Your final project looks very nice; I love showing off plates! Joy, I`m glad your friend`s house is still standing. Wild fires are very distressing. You found some interesting items. I love the copper pitcher and the pastel dishes. Have a great week. 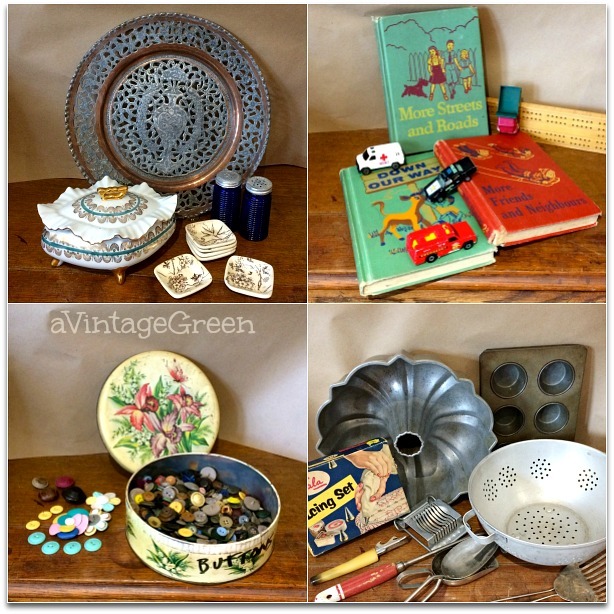 Sylvia D.
Love the plate display and all your other 'treasures'. Do you sell them in your shop? Do you still have your shop? You must be so knowledgeable. I have lots of 'treasures' but have no idea the value and some of it is antique furniture and expensive dish sets. Any suggestions on how I could liquidate it without giving it away and/or finding out the value? I could use the money too! LOL! I make my own ASCP because it is so expensive here. I am so sorry about the fires. We have terrible ones here in the U.S too and I pray for the firefighters and their safety and all those who have to evacuate and worry about their homes. You are so right...that has to be so stressful! We get fire danger warnings here in the Fall and I get nervous just with the warnings! I can't imagine what that must be like to go through. 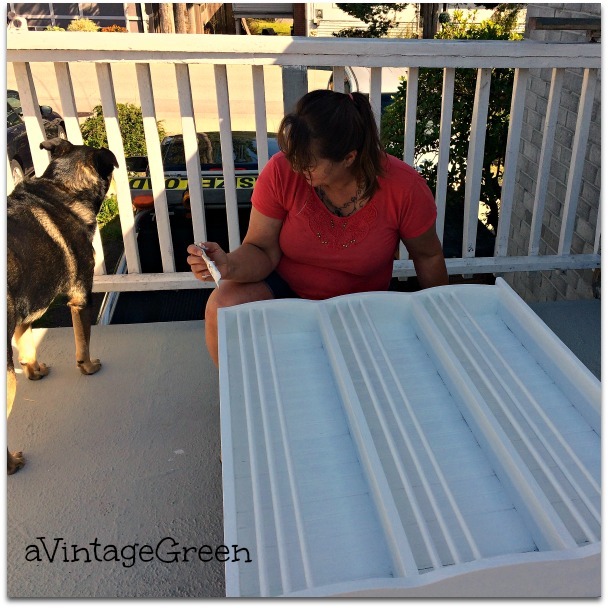 You are so inspiring with your thrift finds and your projects! Have a great week! Might I suggest that when painting the dowels without a lot of space, perhaps you can purchase an inexpensive brush and saw the handle off. That will leave you the part that holds the bristles which can be better manipulated in your hand. In fact, that might be a better way to handle all brushes. I'll have to try that one just for regular painting! It looks really nice. I also wonder how to put something that heavy on the wall. Have you heard of something called a French cleat? It's difficult to explain, so you might do an online search for it. I love the plate shelf! All your other vintage finds are cool too. 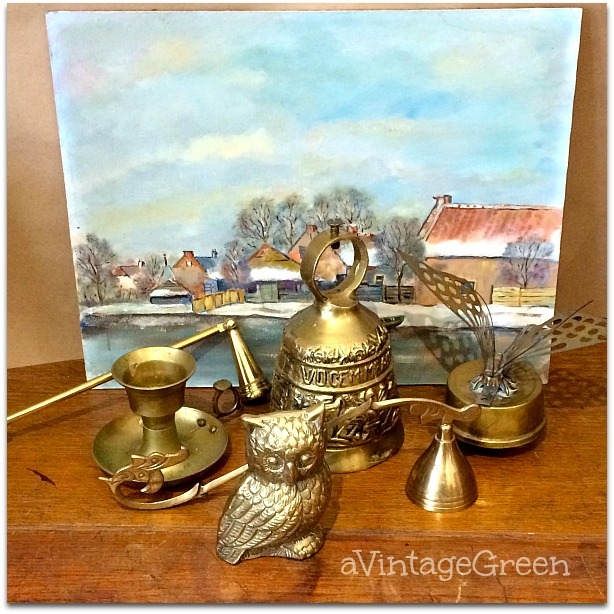 Love that brass bell! And the Petalware and old books are so cool! I'm the vintage person on Sweet Inspiration, so you know I appreciate them. Thanks for sharing there this week! Great makeover and that Petal Ware is gorgeous! Thanks for sharing @ Vintage Charm--pinned! You found some great stuff in July. I especially like the brass pieces. The plate shelf painted white looks great. The white background shows off dishes in any color and pattern. You found some lovely things (swooned at the copper jug, love vintage childrens books and the heeled boot made me smile) and the plate rack is a real winner...gorgeous. Happy Monday! 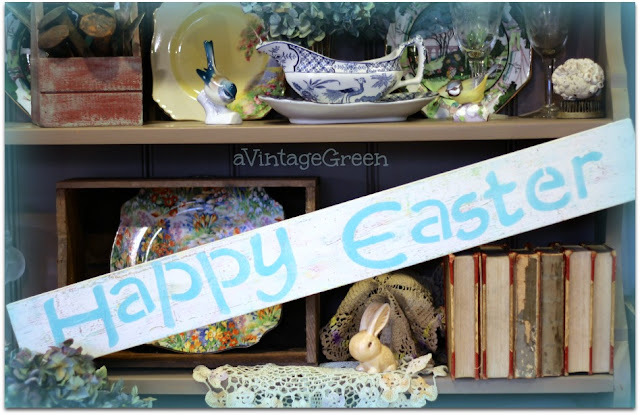 You did a fabulous job on the plate shelf, ably assisted by your friend and of course Annie Sloan. I hope you find a way to hang it so that you can display your latest batch pf treasured finds. Happy Mosaic Monday, see you in September. 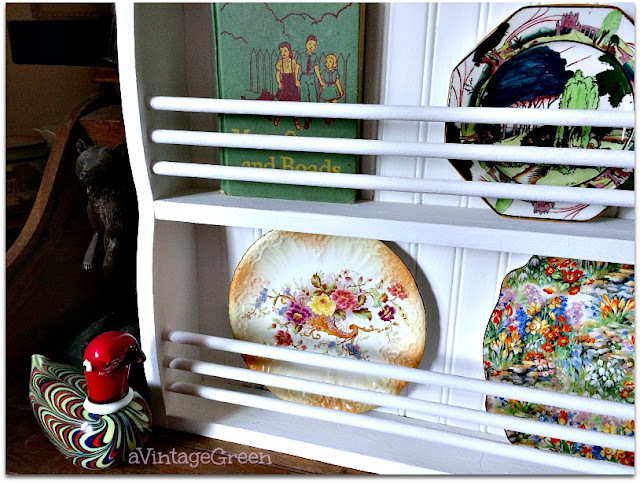 The plate shelf makeover is wonderful - I love that style of shelf. The fires have been terrible; I know several people who have been evacuated, as well. And with the week heating up here, I fear the situation might worsen again. Love the wall shelf! The dishes in the last pic are gorgeous and I also love the butter pats. Thanks for sharing with SYC. I love the idea of repurposing for decor! 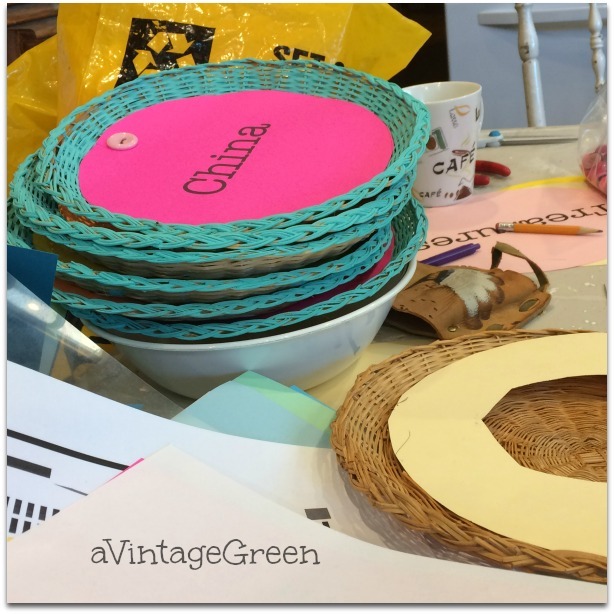 I recently wrote a blog on saving money, and reusing old items as much as possible was one of my "tips", but I missed out on the idea of using them for decorating. Happy to hear your friend is well and these finds are fantastic! Also, the plate shelf is beautiful. Thank you for sharing with us at Celebrate Your Story, and have a great weekend. BB's eldest started working at a thrift store. Talk about a double edged sword- Babushka can never leave without buying something!! Love the way your project came out. Visiting from the Grand Social, BB2U. The plate shelf is wonderful I really want one but have not been able to find the right space for one. The petal ware is gorgeous, I have not heard of it before but love the colours and simply styling.